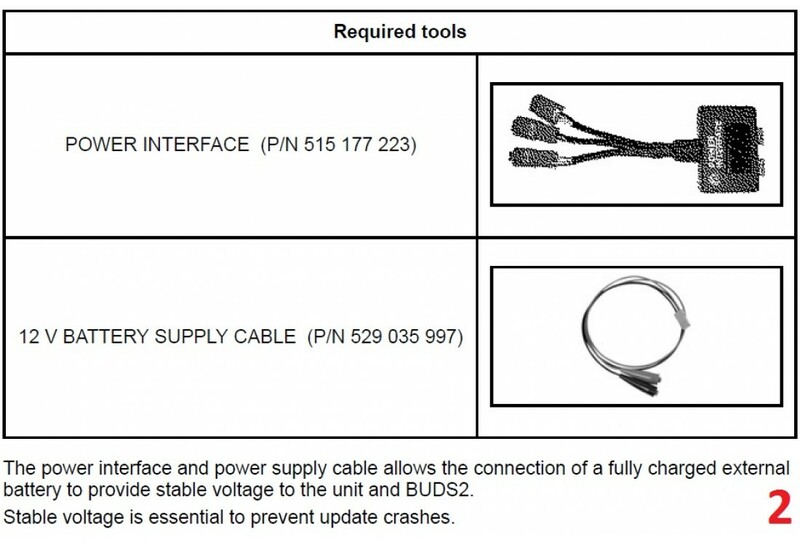 In 2012, the new equipment "T-harness cable" (p/n 529035869) was released to power the Skidoo/Lynx electronic modules while the BUDS software is running. 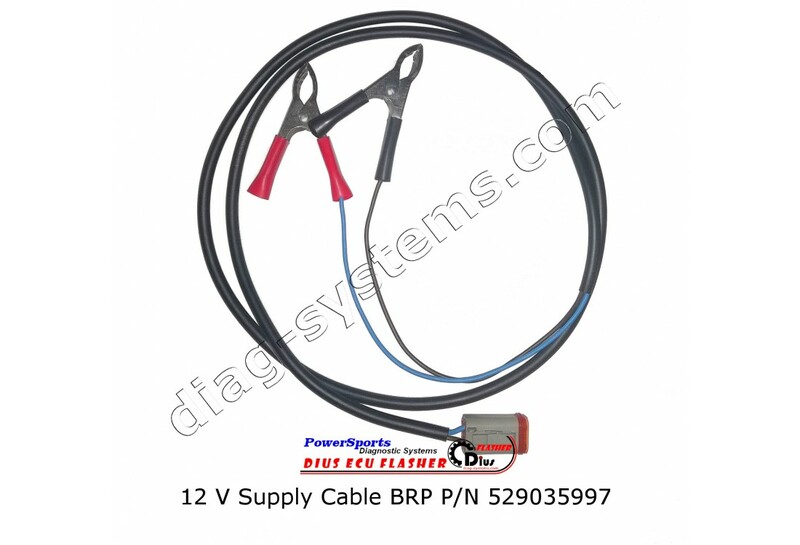 T-harness cable was designed to work with the MPI interface. With the advent of new models of snowmobiles (800 E-TEC), the use of T-harness cable provoked its overheating and short circuit, which subsequently damaged the ECM on 800 E-TEC models. 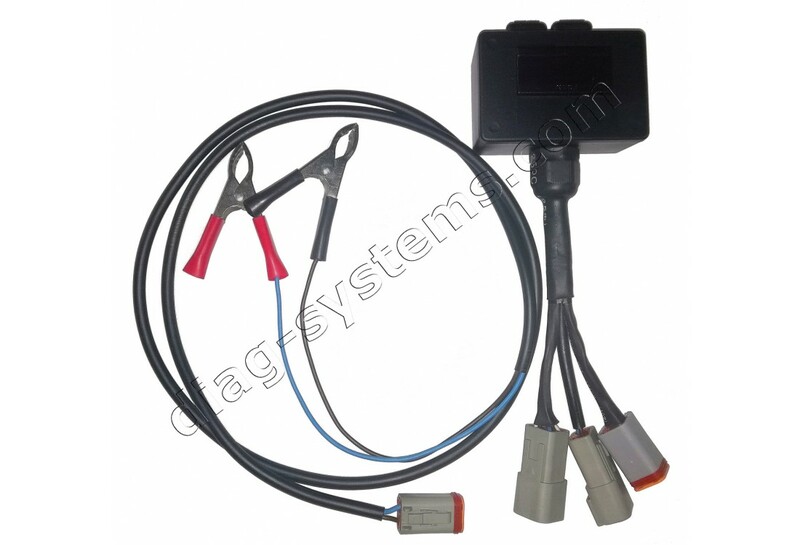 This "Power Interface Kit" is an upgraded version and replaces the T-harness cable. 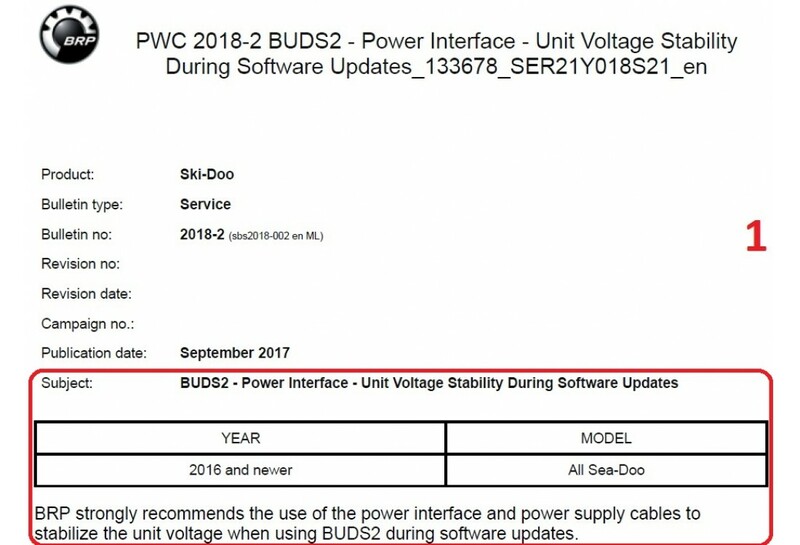 stabilize the unit voltage when using BUDS2 during software updates". The power interface and power supply cable allows the connection of a fully charged external battery to provide stable voltage to the unit and BUDS2. Stable voltage is essential to prevent update crashes. DO NOT use a charger on the battery (unit or external) during software updates. 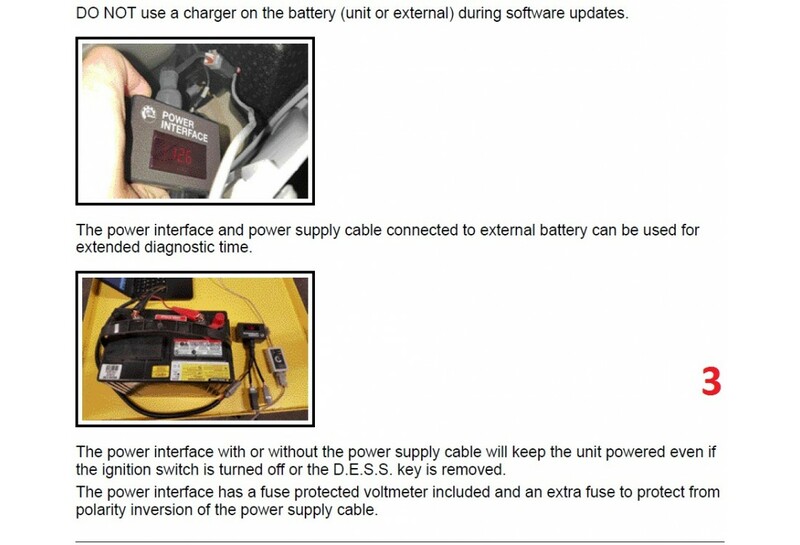 The power interface and power supply cable connected to external battery can be used for extended diagnostic time. The power interface with or without the power supply cable will keep the unit powered even if the ignition switch is turned off or the DESS key is removed. The power interface has a fuse protected voltmeter included and an extra fuse to protect from polarity inversion of the power supply cable. All product names, trademarks and registered trademarks listed on this website are property of their respective owners. Using of these names, trademarks and brands on this website does not imply their endorsement. 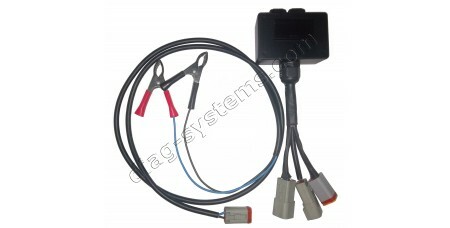 Diag-systems.com is a e-commerce website for sale diagnostic systems for various vehicles. We are not the official representatives of any vehicle manufacturers. 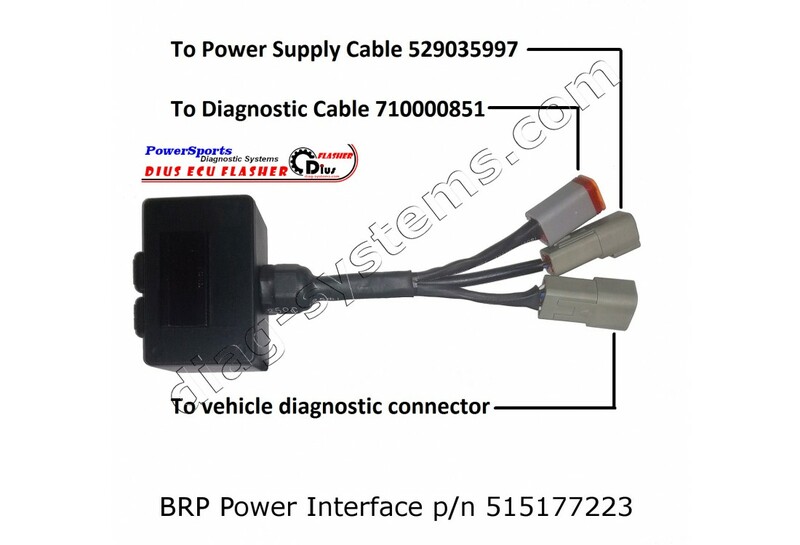 BRP BUDS2 MPI-3 Diagnostic Kit can be used for diagnostic of all 4-TEC/E-TEC BRP vehicles 2002-2018+: PWC and Sport Boats SeaDoo.Snowmobiles Skidoo and Lynx.All Can Am vehicle..
BUDS2 with license "Dealer Technician" gives you the same opportunities that any BRP dealer has. Using MPI-3 Diagnostic Kit and BUDS2 with privileges "Dealer Technician" you c..
B.U.D.S. (BRP Utility and Diagnostic Software) is a comprehensive diagnostic software. Megatech - is a license of the BUDS software developers. This license is not available f..
"Mechatronic Expert" - is a advanced license of the BUDS2 software developers which gives a privileges of "Super User". This license is not available for BRP dealers and distributo..
DESS 4-TEC Interface is designed for add/erase DESS keys for 4-TEC models of SeaDoo and Skidoo vehicles. DESS 4-TEC Interface works in conjunction with the MPI-2 and MPI-..
BRP BUDS1 MPI-3 Diagnostic Kit + License Megatech 10 years can be used for diagnostic of all 4-TEC/E-TEC BRP vehicles 2002-2016: PWC and Sport Boats SeaDoo.Snowmobiles Sk..
Ver.MPI-3 Diagnostic Kit + License Megatech 10 years can be used for diagnostic of all 4-TEC/E-TEC BRP vehicles 2002-2016: PWC and Sport Boats SeaDoo.Snowmobiles Skidoo a..
Worldwide free shipping by EMS for orders 500 - 799 usd | Worldwide free shipping by DHL for orders 800+ usd.